Apple has today made final version of macOS Sierra 10.12.3 available to download for all owners of compatible Mac hardware. After a relatively short-lived period of beta testing, which involved those registered on the company’s Developer Program as well as public testers enrolled on the Apple Beta Software Program, Apple has now deemed macOS 10.12.3 as being ready for worldwide public consumption. It’s always fantastic to see an update filter through to your hardware containing a new version of the operating system. However, that excitement is usually short lived when you realize that there isn’t really anything new or substantial to sink your teeth into from a features and functionality perspective. Still, every platform, whether that be Apple’s macOS, iOS, tvOS, or watchOS, needs a continual stream of updates to ensure that it’s progressing in the right direction and offering the best possible user-experience to the millions of people using it on a daily basis. That is what this macOS 10.12.3 version is all about. As the relatively minor version number would suggest, Apple is using macOS 10.12.3 to ensure that the platform is progressing and offering the best possible experience on all iMac and MacBook machines running it. That progression doesn’t necessarily involve the integration of any new outward-facing functionality, but it does involve a plethora of improvements and bug fixes that should ensure a fluid and performant experience on all Mac hardware capable of running macOS Sierra, which of course involves Apple’s new 2016 Touch Bar MacBook Pro. If this update is all about improving and consolidating, then worry not as Apple is likely to be back on the beta trail soon enough with a new version of macOS to test prior to public release. 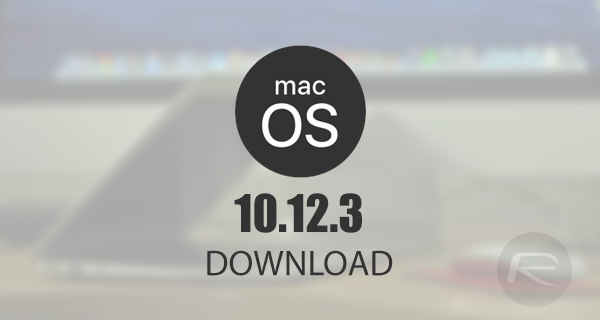 MacBook and iMac owners are able to grab the latest public version of macOS 10.12.3 right now. Those who are historic owners of Apple’s Mac hardware will know to head on over to the Mac App Store and click into the Updates tab to have the latest version of macOS pulled through. It’s then a simple case of hitting Update and waiting for the system to work its magic. After a restart, the machine will be running this latest version of the software. If the update isn’t currently showing up, then worry not as it may just be propagating through Apple’s servers. AGAIN only good news from Redmondpie for this mac update. user-experience to the millions of people using it on a daily basis.